One of the unsolved mysteries in modern science is why the expansion of the universe appears to be accelerating. Some scientists argue it is due to a theoretical dark energy that counteracts the pull of gravity, while others think Albert Einstein’s long-accepted theory of gravity itself may need to be modified. “This is like a detective story, where inconsistent evidence or testimony could lead to solving the puzzle,” said Dr. Mustapha Ishak-Boushaki, professor of astrophysics in the School of Natural Sciences and Mathematics at The University of Texas at Dallas. Their most recent research, published last October in the journal Physical Review D, was presented June 4 at a meeting of the American Astronomical Society in Denver. Astrophysicists use a standard model of cosmology to describe the history, evolution and structure of the universe. From this model, they can calculate the age of the universe or how fast it is expanding. The model includes equations that describe the ultimate fate of the universe — whether it will continue expanding, or eventually slow down its expansion due to gravity and collapse on itself in a big crunch. There are several variables — called cosmological parameters — embedded in the model’s equations. 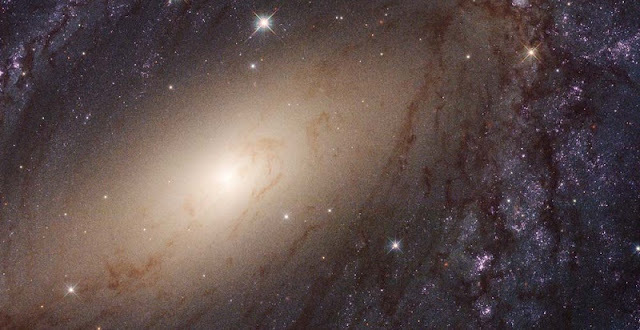 Numerical values for the parameters are determined from observations and include factors such as how fast galaxies move away from each other and the densities of matter, energy and radiation in the universe. “Our research is looking at the value of these parameters, how they are determined from various experiments, and whether there is agreement on the values,” Ishak-Boushaki said. The UT Dallas team developed a new measure, called the index of inconsistency, or IOI, that gives a numerical value to the degree of discordance between two or more data sets. Comparisons with an IOI greater than 1 are considered inconsistent. Those with an IOI over 5 are ranked as strongly inconsistent. For example, the researchers used their IOI to compare five different techniques for determining the Hubble parameter, which is related to the rate at which the universe is expanding. One of those techniques — referred to as the local measurement — relies on measuring the distances to relatively nearby exploding stars called supernovae. The other techniques rely on observations of different phenomena at much greater distances. “Why does this local measurement of the Hubble parameter stand out in significant disagreement with Planck?” Ishak-Boushaki asked. The research is supported in part by the National Science Foundation and the John Templeton Foundation.